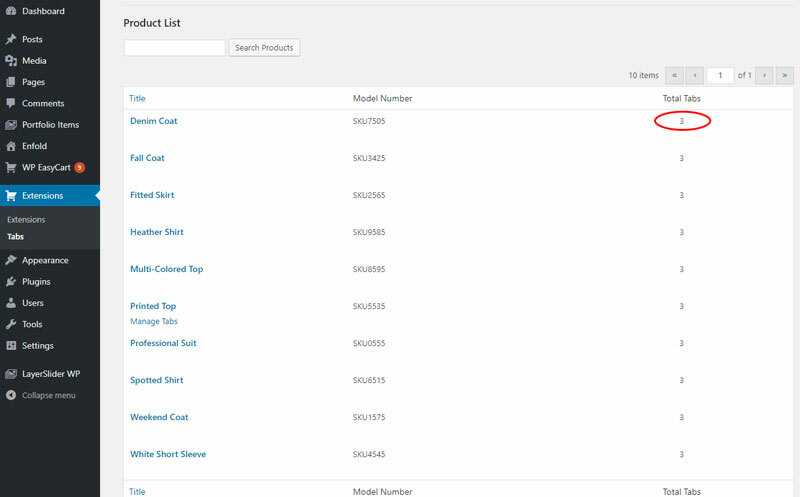 Custom Tabs extension allows you to add additional tabs to a product in the form of the description or specifications tab. So if you need to build or construct extra specifications, product download pages, perhaps even a video tab, the users will have them appear under each product. After downloading and installing the extension, you will see a new Tabs menu under the extensions menu. 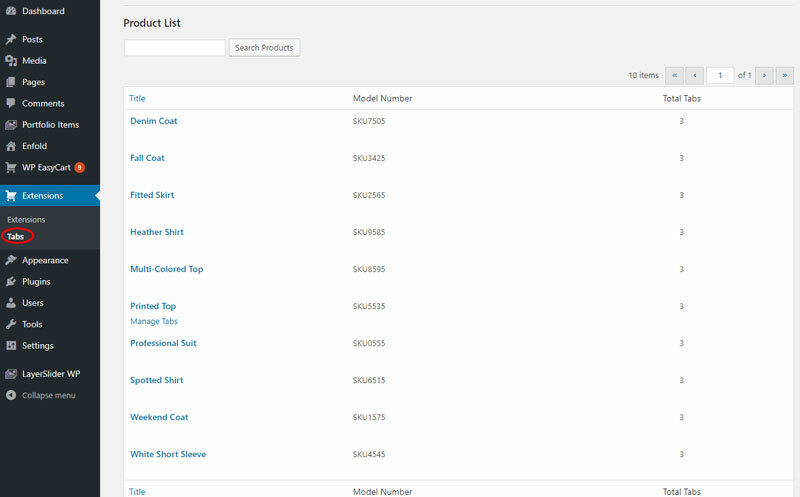 Next, you can select any product to add extra tabs to. 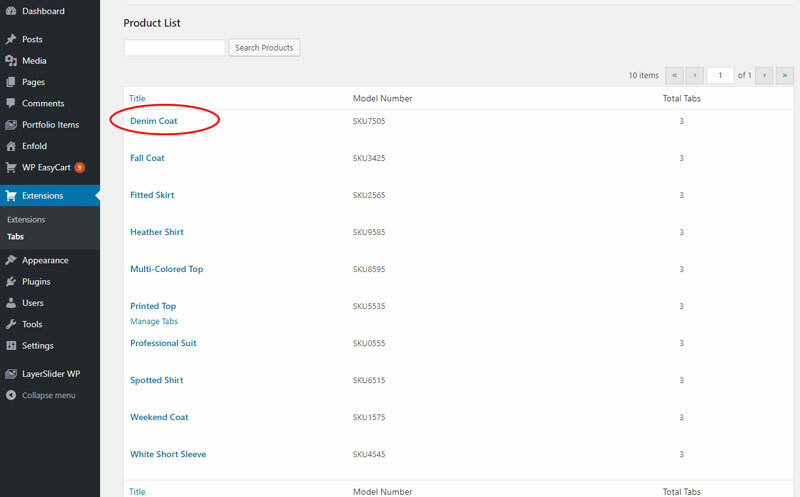 Once you select a product, you can give it a tab title and content below. This area uses the standard wordpress editor, so it is highly configurable in terms of content and coding you can place under a tab.